Kaufman is the county east of Dallas. Geographically we are neighbors, but we each have unique criminal justice systems. As a lawyer who operates in both worlds let me offer a comparison. First, the part of criminal defense that actually matters is the same in both counties. The law, working the facts, investigating the investigation, etc doesn’t change no matter where you are. I believe there can be an advantage to hiring a local attorney. However, defendants are better served hiring a great defense lawyer, not a local one. It’s the little things that are different. There is no quicker way to incur the wrath of a clerk or court coordinator than to violate local custom. Forget to hole punch your pages? Forget to have the ADA sign a pass slip? Staple something that shouldn’t be stapled? No soup for you, carpetbagger! In Dallas, defendants are not expected to appear at announcement settings on misdemeanor cases. (An announcement is where both lawyers show up and discuss your case, but nothing contested is set.) I can show up and pass the case sans client. In Kaufman, misdemeanor defendants have to show up at nearly every appearance. I say nearly because CC2 allows the lawyer to make the first appearance sans client. This policy is a major disadvantage to out of state clients. It puts pressure on the defendants to plea just so they don’t have to make a return trip. Kaufman county utilizes the Odyssey case management system. Odyssey is effective, with an intuitive user interface. Most people who can use a PC pick up the Odyssey system without a problem. I have yet to learn the name of the Dallas computer program. I refer to it as that POS DOS program, because that is what it is. The Dharma Initivative had better software. First, you are presented with a wonderful blank screen, with a flashing green cursor. No windows, nothing to click on. Just horrible black and green emptiness. Want to search for a case? Type JI55. Obviously. What’s JI55? It’s an ancient hieroglyphic search term. The original meaning was lost years ago. To make matters worse pressing the return key is always wrong. That’s right, return does nothing. You have to hit control. Why? Who knows. Dallas does have an advantage in that each courtroom has a computer, so this cryptic program is readily available. Kaufman only has one public access terminal for the whole courthouse. In Kaufman there is much more autonomy for each individual prosecutor. Kaufman does have a chief misdemeanor prosecutor, but he does not have to approve every obstruction plea or dismissal. The ADA’s in Kaufman are responsible for their own cases, and the resolution of those cases. This is not to say that rookie prosecutors don’t ask for help or direction. They do, but they aren’t required to do so. In Dallas some decisions require chief approval. Obstructions are a good example. Want an obstruction without setting a case for trial? First, pitch the case to the ADA, then that ADA takes the case to her chief for approval. Then the chief denies the obstruction and you set the case for trial. The hierarchy is much more defined in Dallas. Enough complaining about Dallas. They actually have a slightly faster discovery process. Just go the DA workroom and ask for a copy of discovery. If there is nothing to be redacted you can get a copy right away. Great system. Kaufman has an open file policy, but you have to request discovery then pick it up later, almost always within 2 day. Sometimes, the Kaufman DA will even mail your discovery to you. Overall, both counties have great open file policies. Kaufman misdemeanor courts only have announcement dockets once a week (Monday for CC2, Thursdays for CC). To pass a case you have to get your client to court, then approach the court coordinator and ask for a reset date. 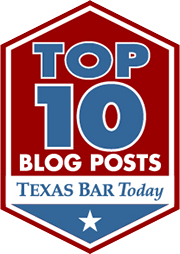 For misdemeanors cases in Dallas reset dates are much more flexible. Since your client doesn’t actually appear and/or do anything you can reset a case for any day of the week. Plus, your lawyer can just choose a date. In Kaufman, not so much. In Dallas every courtroom has a clerk’s office, a DA workroom, a defense lawyer meeting room, and a probation office. In Kaufman there are no DA workrooms, no defense lawyer meeting rooms. The clerks and probation have offices separate from the courts. The Dallas courthouse was built for efficiency, the Kaufman courthouse was built.